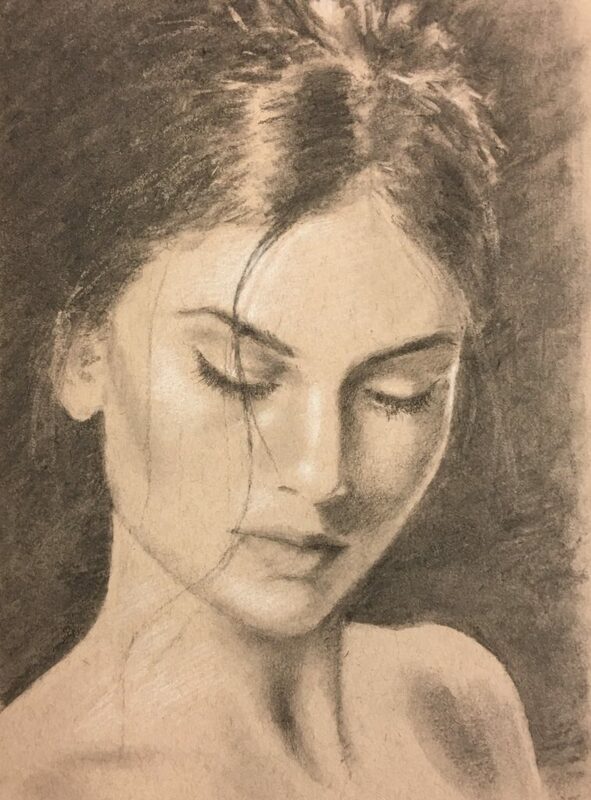 This time I have done the portrait using Soft Vine charcoal and used fingers and paper for blending. I used a Pastel pallet knife for drawing. I have put a few intermediate steps, below, for the reader to see how my work progressed. Below are a few intermediate steps, leading up to completion. 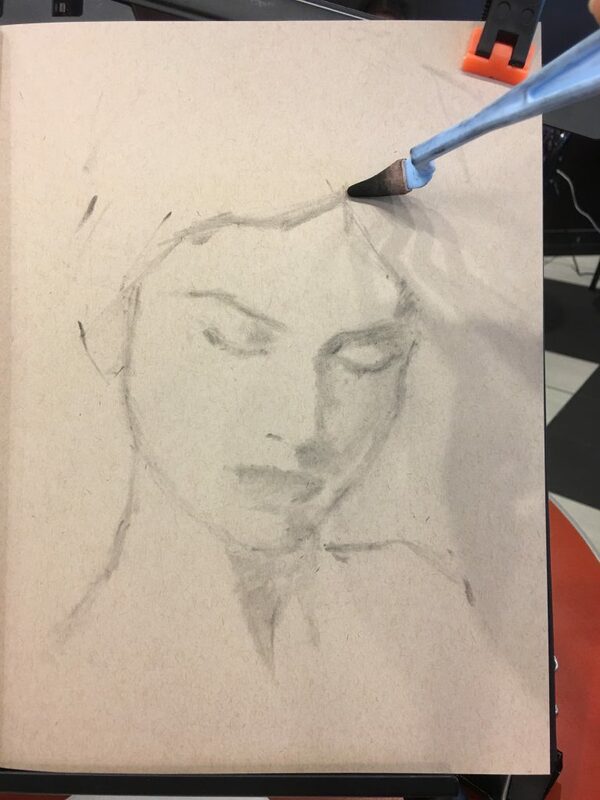 #1: Using Pastel knife and soft charcoal shavings/ Powder charcoal to draw. It is very easy to use kneaded eraser to make corrections. 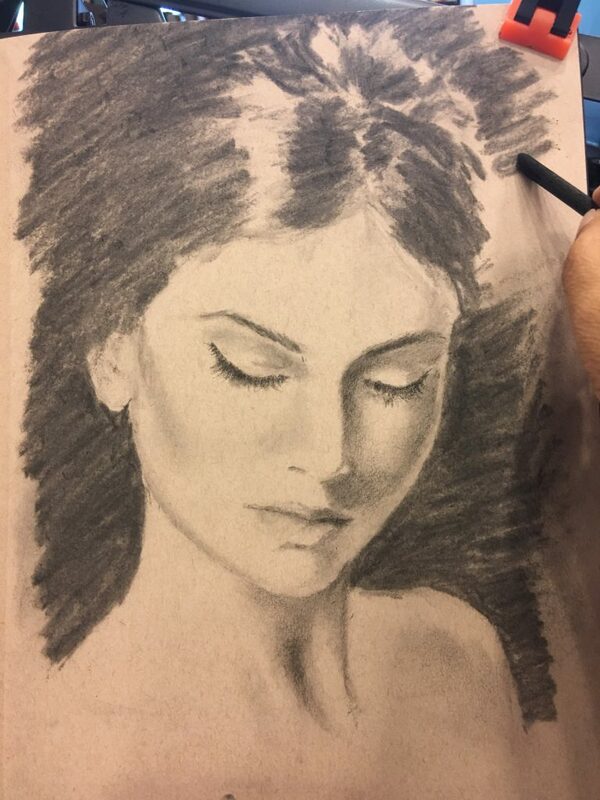 #2: Putting in the values, as I see it, using Soft Vine Charcoal. #3: Final result, after correcting values, fixing edges and blending (where necessary). This entry was posted in Uncategorized on September 10, 2017 by Faisal Tariq.